District Governor Juanita reminds us of Rotary's FAMILY DAY being held this year at Isla de Cabras this Saturday, November 3,2018. A contingent of Stateside Rotarians will be attending and a warm welcome from our English-speaking members would be greatly appreciated. 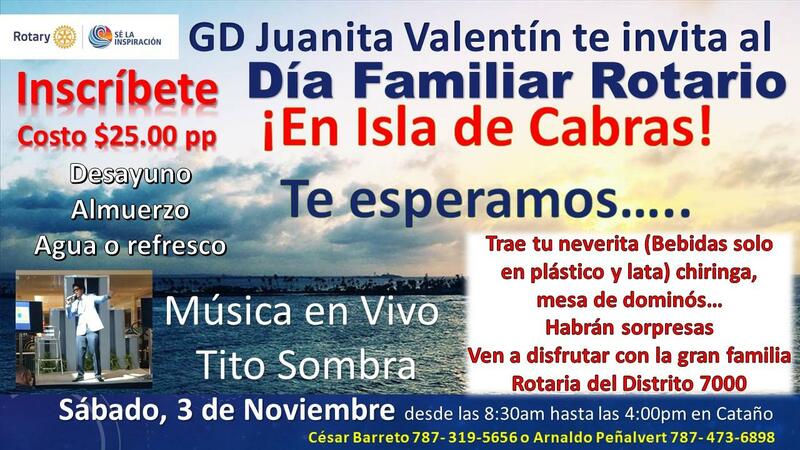 Give Juanita a call at (787)415-8235 for more information and if you are able to attend this well-organized activity.